Have you been bored of doing the same touristic stuff in a voyage? Do you like parks? Do you enjoy the adventure? Is it fun to be able to touch everything surronding you? 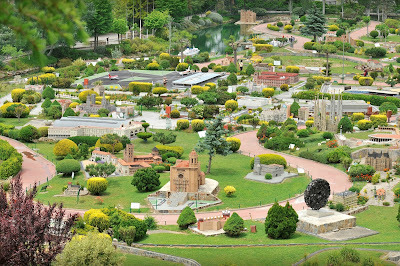 If you say yes then Miniature Catalonia Park is a must see place for you in Barcelona city. 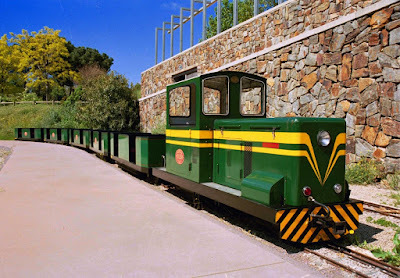 Miniature Catalonia theme park is 30 minutes away from the city centre by car or you can prefer the train for a fantastic journey which lasts an hour from the city centre. While touring in Barcelona you will realize that it's inevitable to be amazed by the monuments, buildings and parks around you. In Miniature Catalonia theme park you will have chance to touch and examine deeply the art and architecture of Spain. 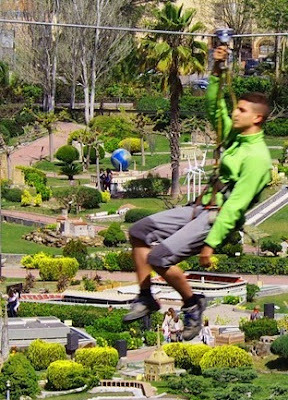 So what can we do in Miniature Catalonia Park in Barcelona? Is it worth to visit this tourist attraction? Well, first of all if you have children it can be a nice alternative day on a abroad that you can spend and add unforgettable memories with your children. There is a train moving in the park for enjoyable rides especially for the children. There is a picnic area that you can use when you need to have a rest or if you like you can buy something to eat and drink from the fast food restaurant. After you have had your coffee your children can have fun at the small playground in the park. theme park in Barcelona city. For prices and tickets you can check http://www.catalunyaenminiatura.com/tienda/?lang=en site. Enjoy the magical world in Barcelona city. For better Barcelona Travel check our other posts. Check the video for a detailed tour at the park.